A sudden craving for shawarma made me drag my lunch buddy to Jacob's Shawarma, which is a stone's throw away from the office. I would always pass by this place on my way home from the office and the muy gwapito face on the logo would always get me curious: is that really Jacob? Okay, I'm curious about the shawarma too.Haha. 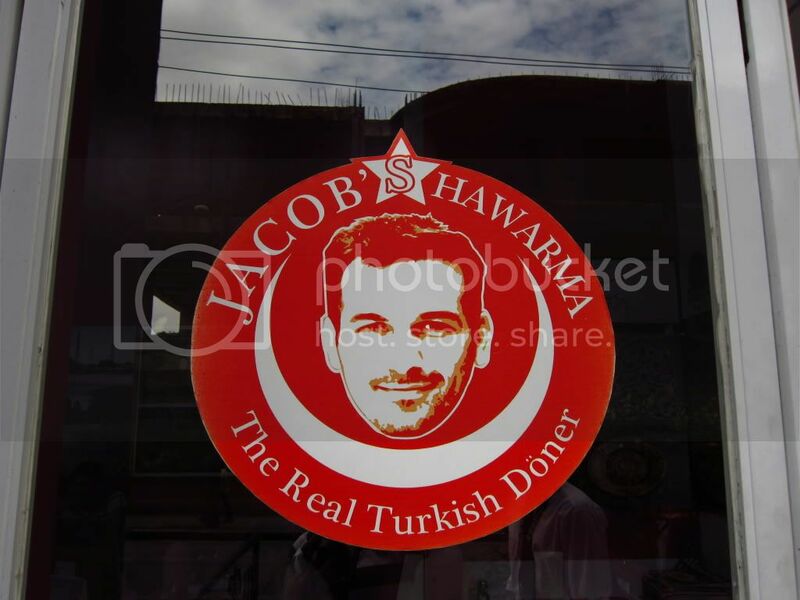 Jacob's Shawarma serves authentic Turkish doner kebab, popularly known as shawarma. 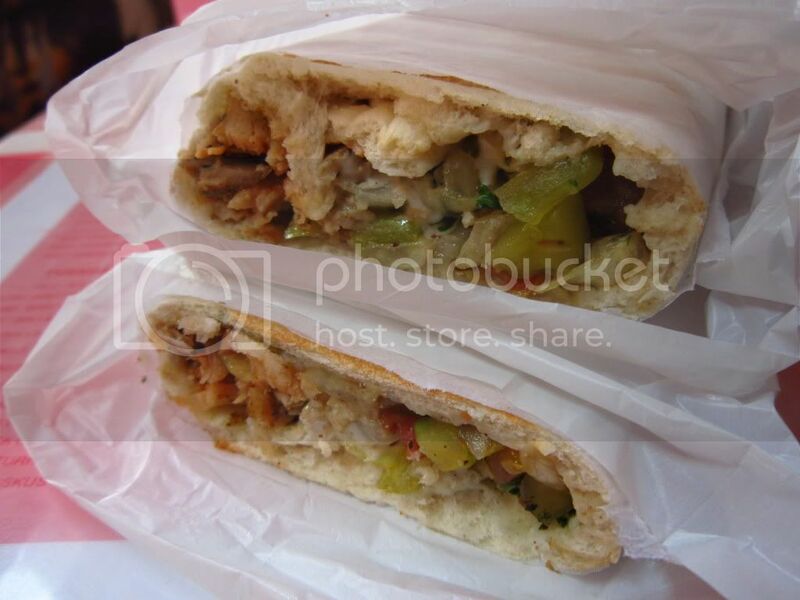 Though the Persian shawarma is more popular, it is said that it originated in Turkey. The place is quite small and can seat around 15-20 people. 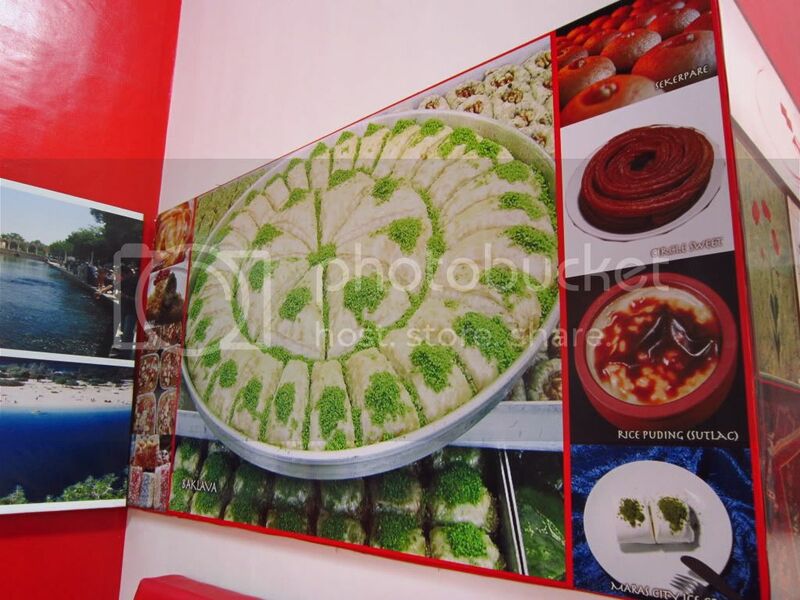 The walls are adorned with pictures relating to Turkey. Honestly, it seems like I was inside a travel agency than a restaurant. 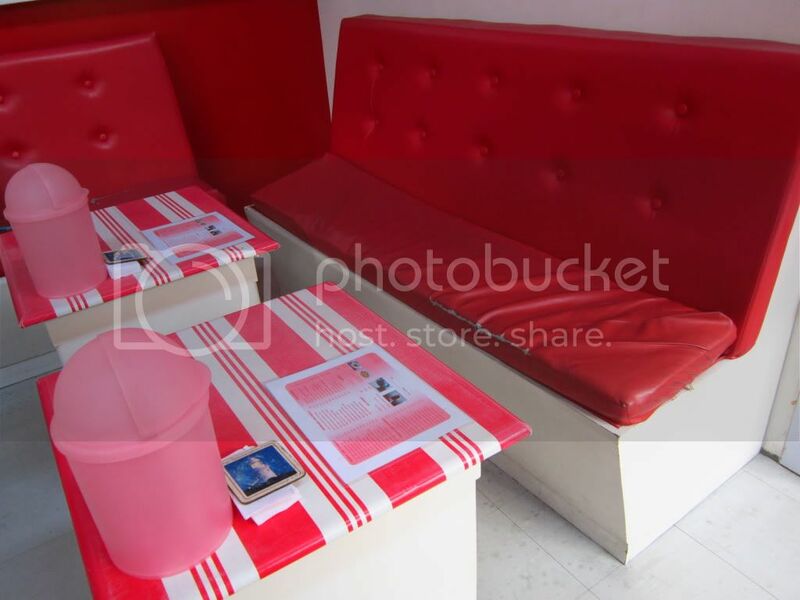 What I found cute is the small trash bins placed in each table. Also, the shawarma filling changes daily. Since it was a Thursday, I ordered 12" Chicken Shawarma and had it cut into half. Instead of the garlic yogurt sauce, Jacob's Shawarma uses lemon juice. It goes well with the shawarma. However, I'm still partial to the garlic yogurt sauce. The chicken was a bit bland for my taste that I had to add salt to my shawarma. 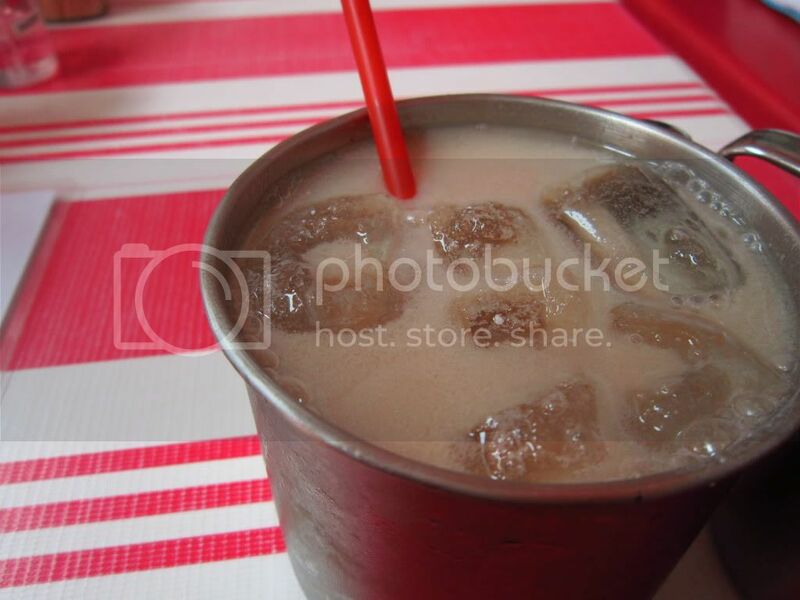 For drinks, my friend ordered Soya Yogurt Drink. I got mine in Chocolate flavor and my friend got Strawberry flavor. I liked the soya yogurt drink. It partly compensated my longing for a yogurt sauce. I should have ordered vanilla instead. I got curious with Baklava, the only dessert in the menu. Baklava is a Mediterranean dessert made of pistachio, walnut with sweet syrup. 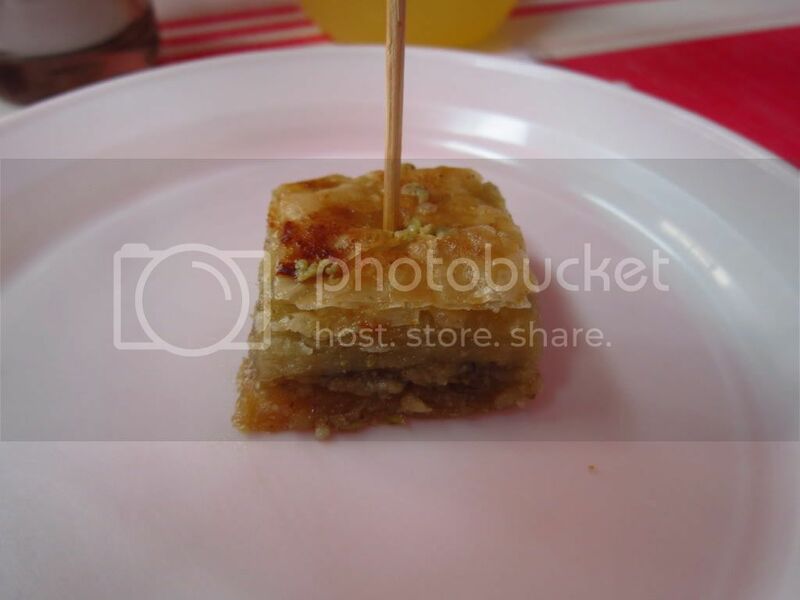 A serving of baklava is very small. A slice is almost the same size as my two thumbs combined. It was good, alright. 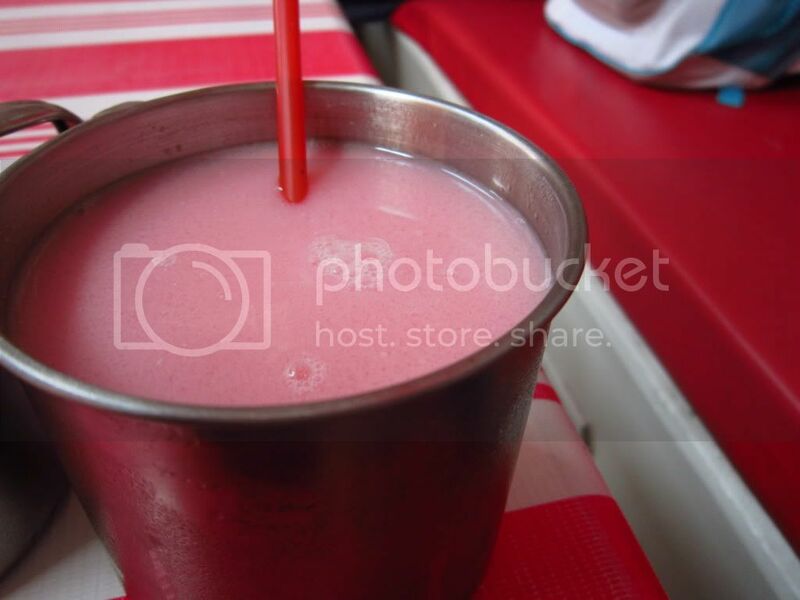 But I'm not sure if it's worth my 50 pesos. Please do, madmader. Then let me know what you think. The baklava is so small. Is that the usual serving size? I've passed by this place dozens of time already but haven't tried it yet. Thanks for sharing! woah! hehe sa baba lang ng bldg namin to.. yup! Jacobs Shawarma is delicious! suppper baet din yan si Jacob hehe.. at yung cook nyang si Vlad (yung mataba na cook) dunno kung sya ang nag luto para sayo hehe pwede ka mang hingi ng dagdag lol. napadaan lang ^_^ + follow you. Hi Jane! I'm not really sure about the difference.